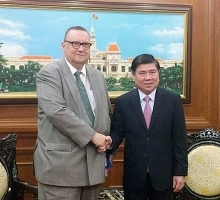 Meeting Deputy Prime Minister and Foreign Minister Pham Binh Minh in Hanoi on December 16, Secretary of State at the Polish President’s Chancellery Krzysztof Szczerski said Poland backs Vietnam’s strengthening of ties with the European Union (EU) and will push for the signing of the EU-Vietnam free trade agreement. 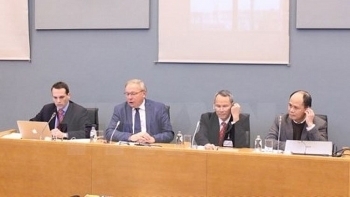 On December 1st, the parliament of Wallonia, a region of Belgium, held a discussion session on the Vietnam-European Union (EU) Free Trade Agreement (EVFTA) at Namur, the region’s capital city. 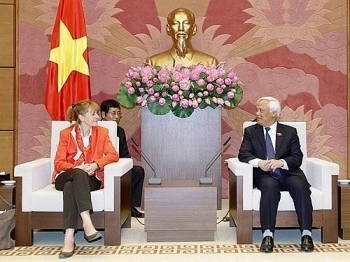 Secretary of State of Foreign Affairs and Cooperation Teresa Ribeiro stated that Portugal wishes to invest in sectors of its strength such as tourism, infrastructure construction, renewable energy and particularly marine economy in Vietnam. 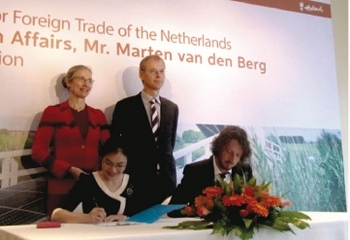 (VEN) - Vice Minister for Foreign Trade of the Netherlands Marten van den Berg led a delegation of 34 Dutch companies and knowledge institutions to visit Vietnam from October 24-25. 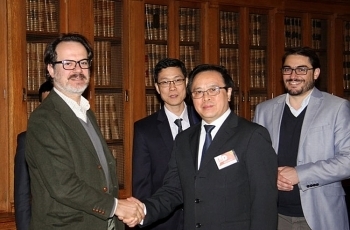 These companies operate in a wide range of sectors such as aviation, agri-food, renewable energy, and maritime infrastructure. 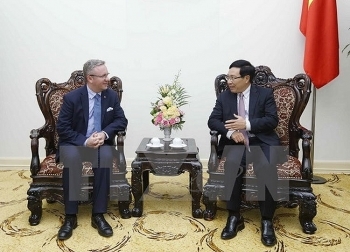 Vietnam Economic News’ My Phung talked with Vice Minister Marten van den Berg about the progress of development cooperation between the two countries. 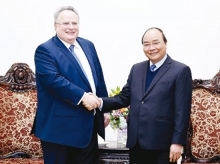 On November 28th, The Steering Committee for Southwest Region had a working session with the Australian and German ambassadors to Vietnam in the Mekong Delta city of Can Tho, with a focus on stimulating further engagement among the sides. 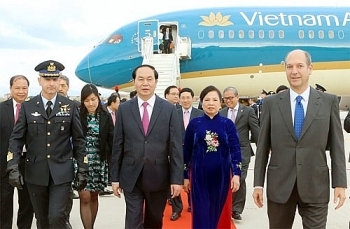 (VEN) - President Tran Dai Quang, his wife and a high-ranking delegation of Vietnamese officials, on November 21 began the five-day State visit to Italy and the Vatican at the invitation of Italian President Sergio Mattarella and Pope Francis. 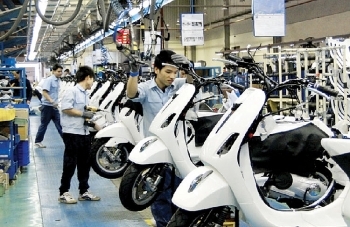 Austrian Ambassador to Vietnam Thomas Loidl told Chairman of the municipal People’s Committee Nguyen Duc Chung on November 16 that Austria is interested in Hanoi’s plan to develop investment and business activities, along with emergency relief services. 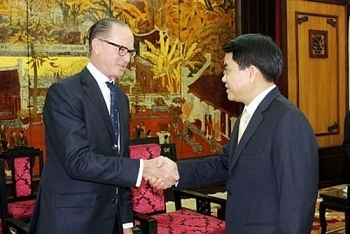 During a meeting with Vice Chairman of the Vietnamese National Assembly Uong Chu Luu in Hanoi on November 16, Vice President of the German parliament Edelgard Bulmahn said she will advocate the ratification of the EU-Vietnam Free Trade Agreement (EVFTA) which is expected to open up new opportunities for economic, investment and trade ties between Vietnam and Germany. 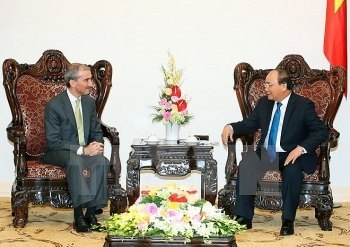 At a meeting with Portuguese Ambassador Francisco de Assis Morais e Cunha Vaz Patto in Hanoi on November 10, Prime Minister Nguyen Xuan Phuc called on Vietnam and Portugal to employ more solutions to raising their bilateral trade from nearly 400 million USD in 2015 to 500 million USD by 2020.